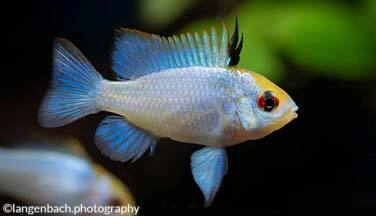 Very popular, this small peaceful cichlid is a delight for its owners. However, it requires a little experience because it is quite fragile and requires perfect control of water quality. This sheet will give you all the information you need to maintain it! 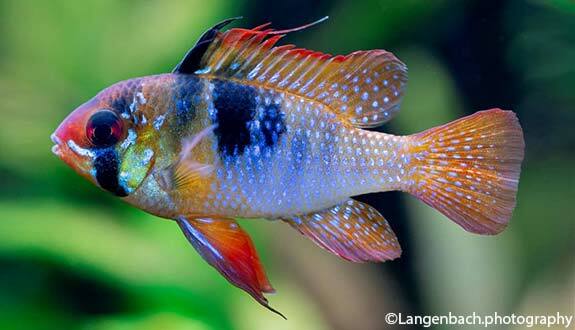 How to feed the Ram cichlid? The Apistogramma Ramirezi is omnivorous and not very difficult: it will eat the food in front of him. Thus, you can give it dry food such as granules or straws, to be supplemented by regular intake of fresh or frozen food (artemia, daphnia, bloodworms...). 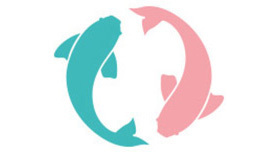 Indeed, if you want to have fish in good health and without deficiency, you must vary their diet. 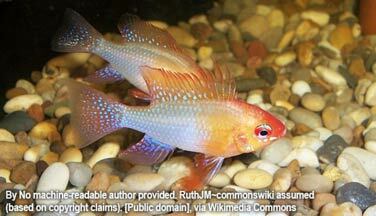 What kind of behavior does the Ram cichlid have? This fish will be mostly peaceful, and even shy at times. The only exception to this tranquility is during the breeding season when the Ramirezi becomes territorial. It then starts to chase the other fish to defend its nesting place. 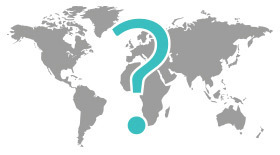 Who can live with the Ram cichlid? Isolation will make a lone fish waste away. The minimum acceptable maintenance in terms of sociability is the constitution of a couple, for an aquarium of less than 120 liters (32 US gallons or 26 Imperial gallons). 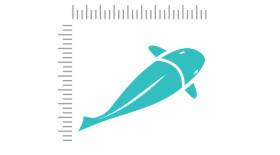 For a group, add 60 cm or 23 inches of frontage per additional couple introduced in the aquarium. 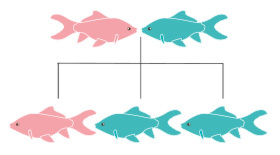 The constitution of a small group will be really ideal because each fish will be able to choose its partner freely (rather than the aquarist imposing the couple). This group will necessarily organize itself around a hierarchy. For this to be established, small clashes can occur between individuals wanting to assert their dominance. Note that males are territorial and may be aggressive during breeding, both with their conspecifics than with other species occupying the tank. Because of its territorial nature, especially between males, avoid keeping two males in an aquarium of less than 120 liters. Attention, the rivalry between males is valid for all species of Apistogrammas. 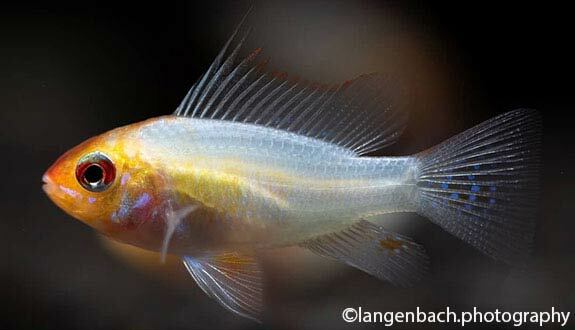 Thus, never introduce 2 Apistogramma males in an aquarium that is too small, whatever their species. 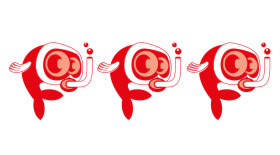 Avoid shrimp: at adult size there will be no problems, but juvenile shrimp will inevitably be eaten. Corydoras are not welcome in an aquarium with the Apistogramma because they share the same area of life. In addition, the highly planted aquarium required by this fish does not meet the needs of Corydoras, who prefer open aquariums. 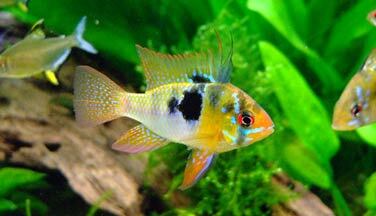 How to breed the Ram cichlid? 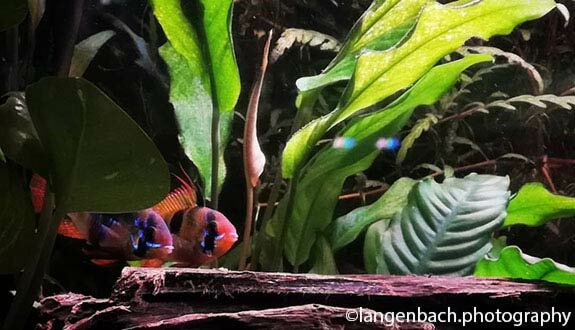 The breeding of the Apistogramma Ramirezi is easily achievable. First, distribute living food and make a change of water (preferably with reverse osmosis water to soften the water in your aquarium). You should then watch your male Ramirezi become territorial and form a couple. 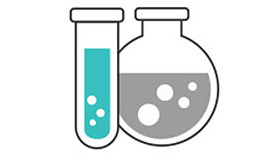 Ideally, your water parameters for breeding should be 28°C or 73°F, pH 5.5 and hardness 2°dGH. Your couple will then place very small eggs on a flat, smooth stone, or directly on the substrate. Depending on the age of the female, laying can range from 150 to 500 eggs. Eggs hatch after about 60 hours. Parents will defend their cubs and take care of them until they are able to swim freely in the aquarium, about 4 to 6 days after hatching. 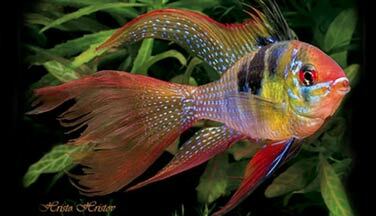 Which aquarium for the Ram cichlid? 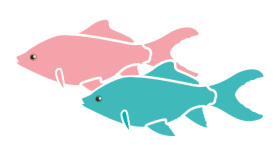 As the Ramirezi is a territorial fish, it does not need much space compared to other species of the same size. Plan a minimum of 70 liters (15 imp gal or 18 US gal) for a couple (and more for a group). A water quality that is as close as possible to its natural environment will be a guarantee of success in the maintenance of your Ramirezi. It must be sweet, acidic and low in nitrates (for that, use osmosis water). This species is particularly sensitive to sudden changes in parameters. It is therefore necessary that the home aquarium be perfectly cycled and well ground before the introduction of this species. 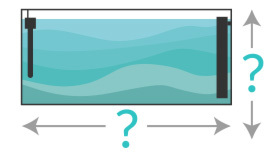 When changing the water, make sure that the new water introduced has the same parameters, including the temperature. This change of water will take place at a rate of 15 to 20% of the volume once every 2 weeks. Note that this fish is also sensitive to chemicals. For the decoration, the aquarium will need to be planted with roots so that the Apistogramma feels safe. This will offer the fish hiding places (particularly useful during the breeding season with the aggressive territorial problem that settles). 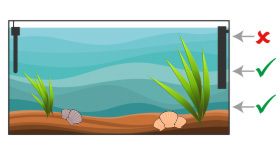 Choose the Amazonian biotope for even more comfort, for example with plants such as Echinodorus and Vallisneria, and Mangrove or Mopani roots. Soft lighting will put your fish at ease. For this, use floating plants such as Pistia or Salvinia. Plan for a non-cutting bottom sand like pozzolana because the Mikrogeophagus Ramirezi will spend a lot of time looking for food in the bottom of your aquarium. Be careful, this species is very fragile: it must be kept in an aquarium well maintained and with an irreproachable quality of water. 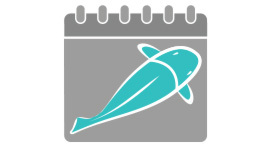 Only for experienced aquarists. There are several possible colours, from selections. Among these variants are the Ramirezi gold, the Ramirezi Electric Blue or the Ramirezi Veiled (which has elongated fins).